Yumma Yumma: They offer a pizza you can't refuse! A highlight on a local pizza shop...The Don's Wood-fired Pizza (formerly known as Don Corleone's Pizza before they got in trouble using a trademarked name...oh well). This little pizza shop with a gangster/Godfather theme, has taken our town by storm. And its nice to personally know the owners as well (friends of ours at church). In my opinion, its the best pizza in town. We can't even eat any other pizza now because we love theirs so much that everything else is just subpar. 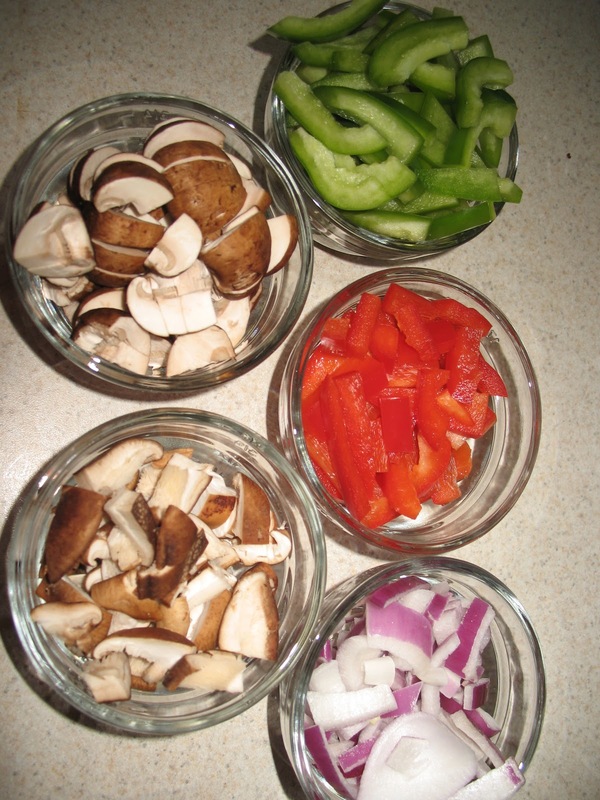 They offer freshly made pizza with a variety of toppings, some pre-set but also with the option to customize your own version. The ingredients are fresh, yummy, a few unique ones, and they have a little touch of the gourmet. 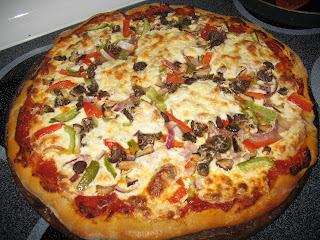 They are cooked in a brick wood-fired oven that reaches about 800 degrees, giving each pizza a delicious smoky flavor. I love it when the pepperonis are slightly burnt on the edges! Whats also great about this little pizza shop, is that you can go in and buy a container of their uncooked pizza dough so you can attempt to make your own version of The Don's pizza in the comfort of your own home. Its not quite the same because most conventional ovens don't go hot enough to really do it justice. Maybe someone would like to buy us a Big Green Egg? :) You can order a small dough or a large dough for only a few bucks. 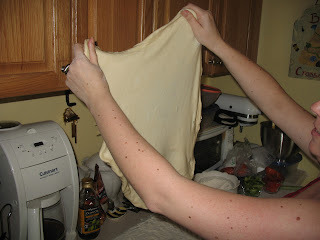 It takes a little practice stretching and rolling out the dough but it makes a great pizza crust. 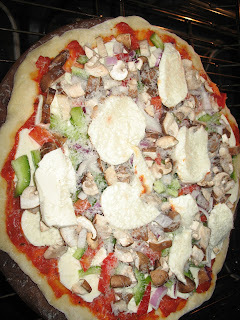 Superking (aka Hubby) and I have brought home their dough several times to make pizza at home. This time I wanted to make a yummy veggie pizza in an effort to have a hearty yet somewhat healthy meal (lots of veggies cancels out the cheese and makes it automatically healthy right :) ??) 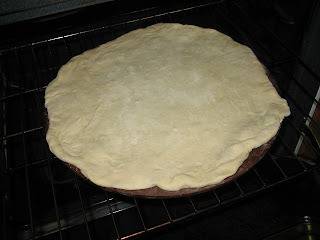 So we rolled out the dough as best we could, put it on the baking stone, and popped it in the 450 oven for about 5-10 minutes to pre-bake it slightly. 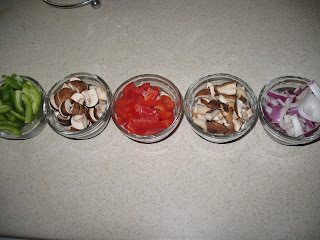 If you don't do this pre-baking step, once you add on all the toppings (especially if you use lots like we do), theres a good chance the dough won't cook all the way in the middle and you'll end up cutting into a soggy center. Gross! 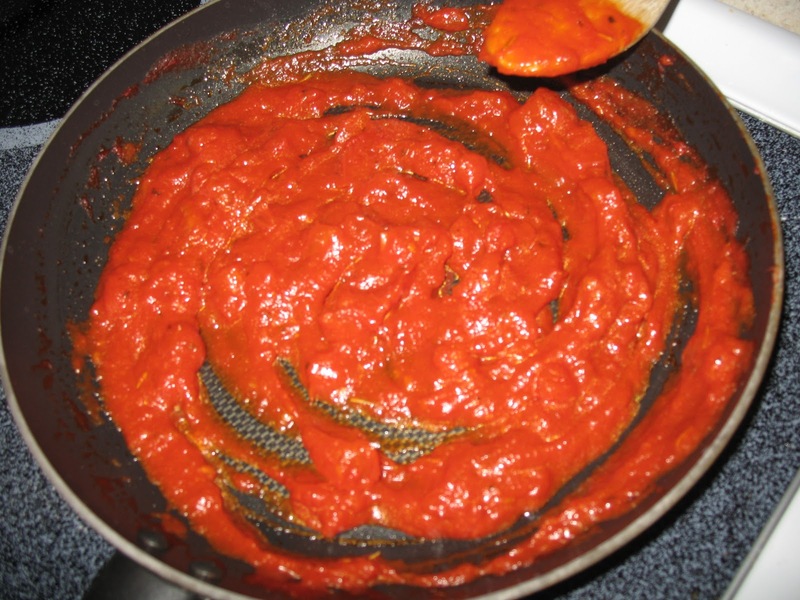 I made my own sauce, which is really easy and theres a number of ways to do it. I just heated up a little olive oil in a pan. Crushed up a few tomatoes, added them to the hot oil along with a little tomato paste, water, sugar, and other spices. I didn't really measure any of it, just a little of this, little of that, to taste. 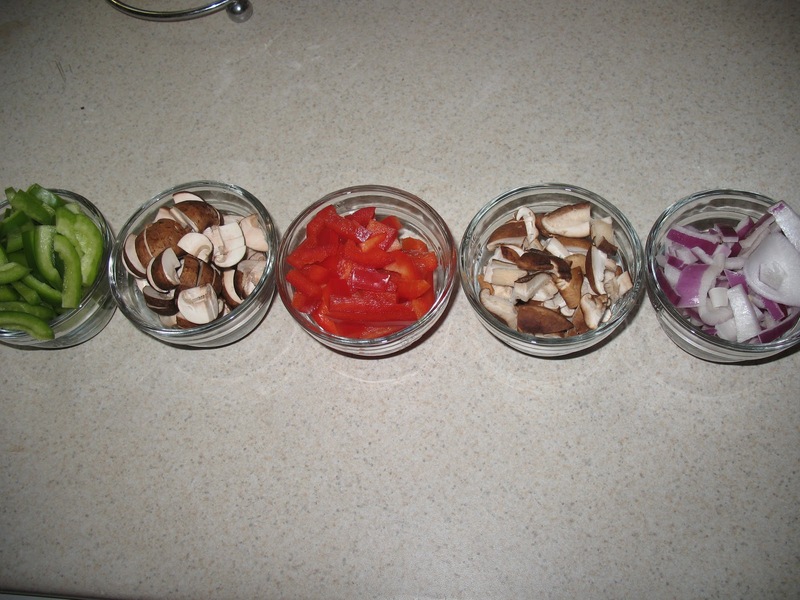 Then I cut up some green peppers, red peppers, red onion, and 2 kinds of mushrooms (crimini buttons and shitakes). 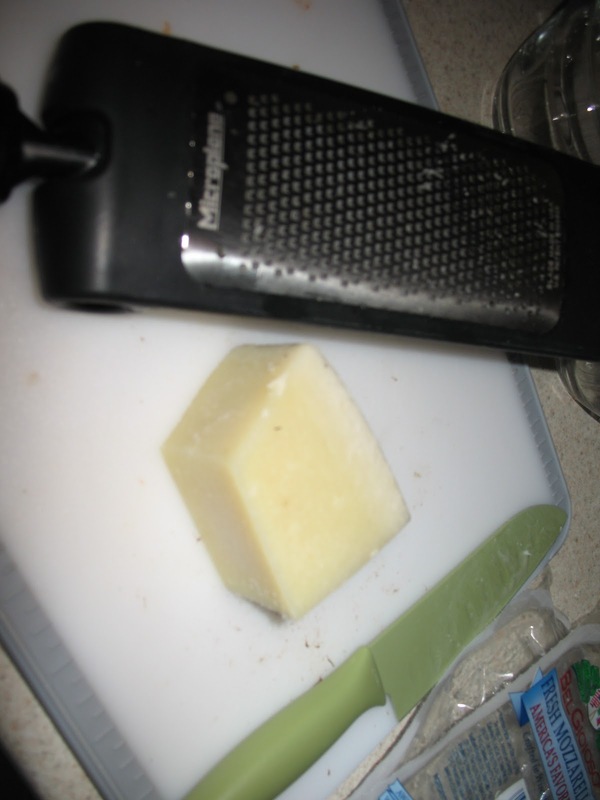 I also added slices of fresh mozzarella cheese and on top a light dusting of very finely grated grano padano cheese (sort of like a parmesan). At 450 it ended up taking about 30 minutes to bake all the way through. I probably should've turned up the heat a little more. And beware that all those veggies and fresh mozzarella contain a lot of water so its a good idea to put a large cookie sheet on the rack in the oven under the baking stone in case there is any drippage. 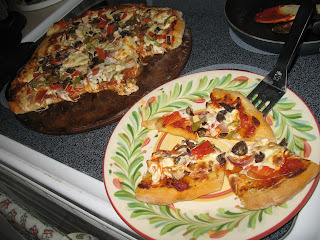 But all in all a very yummy gourmet pizza at home that still supports the local business!